You will stay in a charming semi-detached home only five minutes walk from the welcoming centre of Bergen. The home is located on a quiet dead end road. 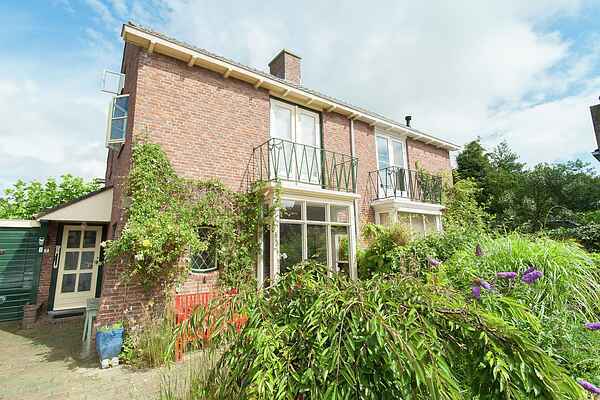 There is a lovely enclosed garden with multiple terraces behind the home. The furnishings and space in the house will pleasantly surprise you. A wonderful home, ideal for people who would like to discover Bergen by foot. The village of Bergen is located in the province of North Holland. Its great location near woods and dunes, close to the sea, gives Bergen an almost mystical feel to it. Many artists live here, for good reason. The light, the open space and the shady boulevards inspire them every day. Feel like shopping? Around the eye-catching Ruïnekerk, you will find a variety of boutiques, terraces and welcoming restaurants. The sandy beach of Bergen aan Zee stretches out at a distance of only three kilometers. A day trip to Amsterdam is also unmissable.